Robert (Bob) Weeks started on the air but eventually moved into sales at Tampa’s WDAE. In 1965, he and homebuilder Jim Walter formed a partnership (Daytona Broadcasting, later known as Walter-Weeks Broadcasting) to acquire and manage a group of Florida radio stations. Its first station was WMFJ-AM 1450 in Daytona Beach; however, the company’s roster of stations would eventually grow to include WMFJ-FM, Sarasota’s WSPB AM/FM, WJNO AM/FM in West Palm Beach, and Tallahassee’s WTNT-AM/WOMA-FM. After all of the Walter-Weeks stations had been sold off in the 1980’s, Weeks joined with Ron Crider and Thomas McCoy in 2002 and bought Sarasota’s AM-1220 WQSA. He also partnered with Crider in a cellular tower business. During his career, Bob Weeks served on the boards of the Florida Association of Broadcasters, CBS Network Affiliates, and Bethune Cookman College. 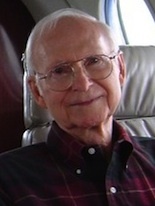 The veteran broadcaster died March 11, 2010 in Sarasota at the age of 83.